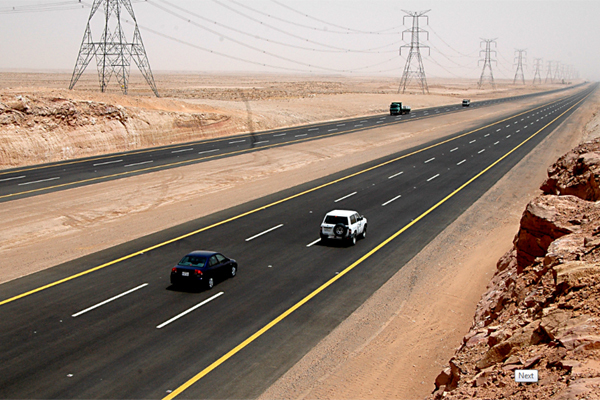 Saudi Arabia has signed contracts worth SR1.73 billion ($453 million) for 23 new road projects across the kingdom, reports said. The contracts signed by the Transport Ministry are distributed into different areas: seven in Makkah, six in Riyadh, four in Asir, two in the Eastern Province, and one in each of Hail, Al-Baha and Tabuk, said a report in Ashraq Al-Awsat. “The deals signed today include projects within the budget of the ministry and the ministry is working by a clear strategy to provide quality roads that benefit citizens," Minister of Transport Nabil Al Amoudi was quoted as saying. The ministry has signed a total 75 projects so far costing SR2.7 billion ($720 million), the report said.